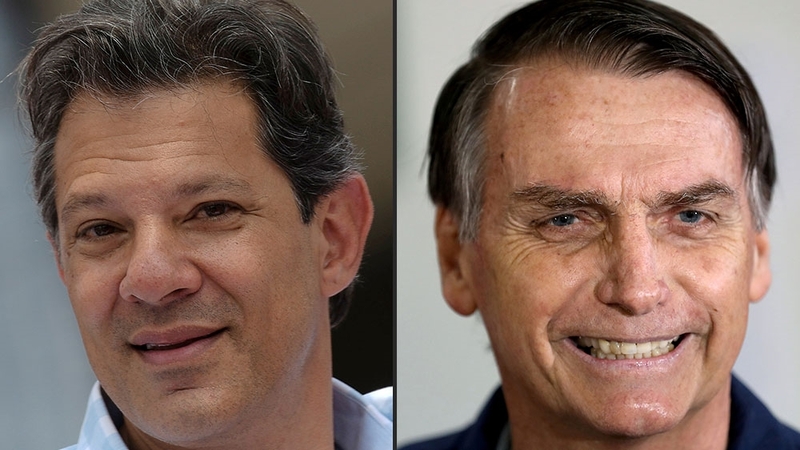 Rio de Janeiro, Brazil – After weeks of campaigning and sparring for support amid spiralling polarisation throughout the country, Brazil’s presidential race has been reduced from a field of 13 runners to a head-to-head race between far-right firebrand Jair Bolsonaro and leftist Fernando Haddad. Bolsonaro of the Social Liberal Party narrowly missed out on the outright majority required for first round election success on Sunday, winning 46 percent of the vote. Haddad, the Workers’ Party’s (PT) last-minute replacement candidate for jailed former Brazilian leader Luiz Inacio “Lula” da Silva, trailed in second with 29 percent of support. Haddad must now reverse current electoral momentum within just 21 days, or watch the wave that swept Bolsonaro to a first round victory carry the former army captain into office. But analysts said they weren’t betting on him turning things around for October 28’s second-round vote. “I think Haddad needs a bit of a miracle, it could be very, very difficult for him [to win the presidency],” Oliver Stuenkel, a professor of international relations at the Brazil-based Getulio Vargas Foundation higher education institute, said. Prior to Sunday’s first-round vote, about 41 percent of Brazil’s electorate said they wouldn’t vote for Haddad under any circumstances, according to Datafolha polling institute. Bolsonaro’s rejection rate stood at 44 percent. 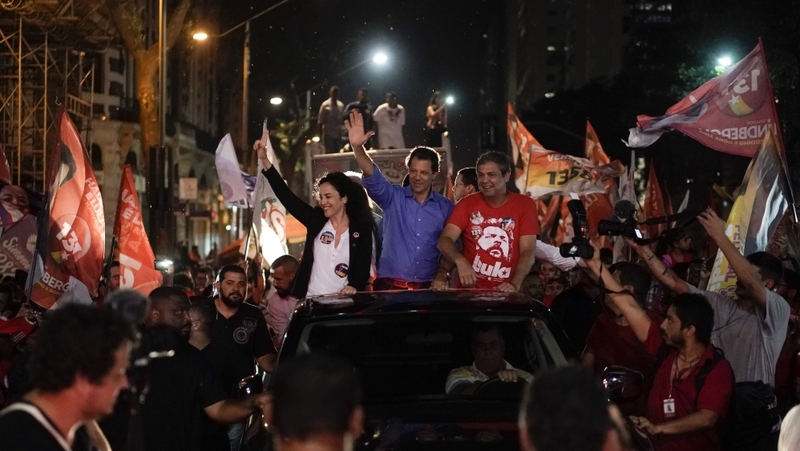 Haddad can only win in the second round if he converts sceptics, galvanises Sunday’s vanquished centrist candidates and their supporters and goes after his opponent on policy issues such as crime and security which, until now, he has appeared unwilling to grapple with, analysts said. “Haddad can reach out and surpass Bolsonaro but he will have a hard time doing that, he will have to get almost the totality of the vote of Ciro Gomes and bring in the blank voters as well as those who abstained,” Thiago de Aragao, director at the Brasilia-based political consultancy Arko Advice, said. “He will also have to try to attack Bolsonaro on issues that actually affect the mindset of the voter … [and] to attack as hard and often as he can in order to break down the image of order and anti-establishment and discipline that Bolsonaro was able to create [in his campaign],” de Aragao added. Ciro Gomes, another centre-left candidate, came in third place on Sunday with about 12.5 percent of the vote. Twenty percent of the eligible electorate meanwhile, nearly 30 million people, abstained from voting. But countering Bolsonaro’s narrative won’t be easy, and could even prove counterproductive, Aragao said. 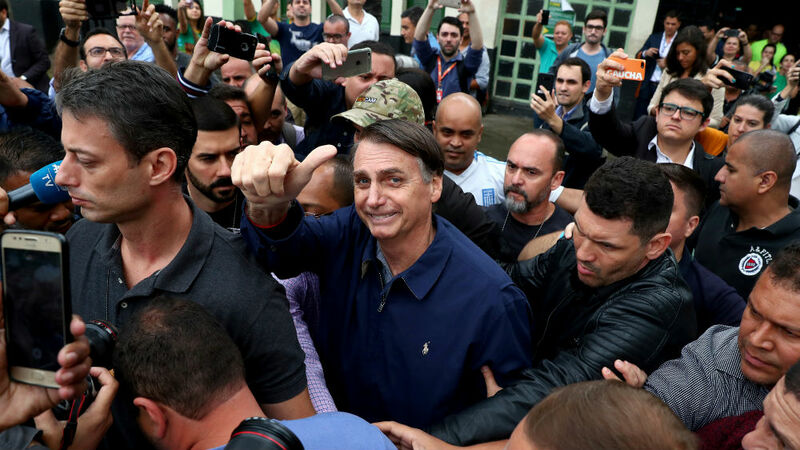 “In the past few weeks every sort of attack against Bolsonaro was made and the only result was his growth,” he said. Despite making several disparaging comments about the gay community, women and minorities which have appalled millions of Brazilians, his tough-on-crime posture, favourable remarks about Brazil’s former military dictatorship and self-styled anti-establishment approach have appealed to many others. Critically, he’s upended the traditional political campaign approach, staying clear of public debate over big policy issues and instead mobilising social media to appeal directly to voters with plainly worded pledges. He was also stabbed last month, keeping him off the campaign trial for much of the lead-up to Sunday’s election. “He will say as little as possible, not get into complicated issues and try to hold back people around his campaign from saying things that could be considered controversial,” Aragao said. “Bolsonaro has an advantage over Haddad, he’s in a growth curve … for him to lose from here, it’s not about Haddad getting it right, it’s about him making mistakes,” he added. 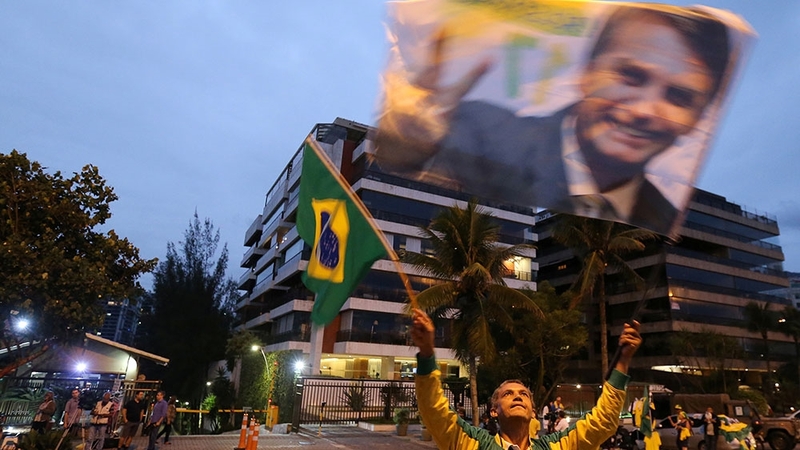 Indicators from Sunday’s results, aside from the 49 million votes Bolsonaro picked up, suggest that is the case and that prevailing public sentiment points towards him succeeding in the second round. Bolsonaro’s Social Liberal Party rose from relative obscurity to become the second biggest party in Brazil’s lower house Chamber of Deputies, just four seats short of the well-established PT’s 56 and far ahead of several traditional parties. During Brazil’s last election, in 2014, the PSL won one seat in the lower house. “We are seeing a conservative or centre-right tsunami that has produced the biggest change in Brazil’s political landscape for the past few decades,” Stuenkel said. “Clearly, people are fed up with established parties. We have had a really significant number of big wigs removed and to that extent it’s a protest vote and a vote for change,” he added. Many voters are deeply distrustful of the PT and the party’s figurehead, Lula, as a result of their involvement in corruption scandals in recent years. Others are disenchanted with Brazil’s stagnant economy, in which nearly 13 million people are out of work, and a deteriorating security situation which reached a peak last year, when a record nearly 64,000 homicides were recorded. Aragao, for his part, said the election had been consumed by feeling, discussion involving facts, figures and firm proposals on how to solve Brazil’s social, political and economic problems drowned out. “This election in Brazil is highly emotional and, being emotional, many voters have very little interest in the details of policy making that each candidate proposes,” he said.